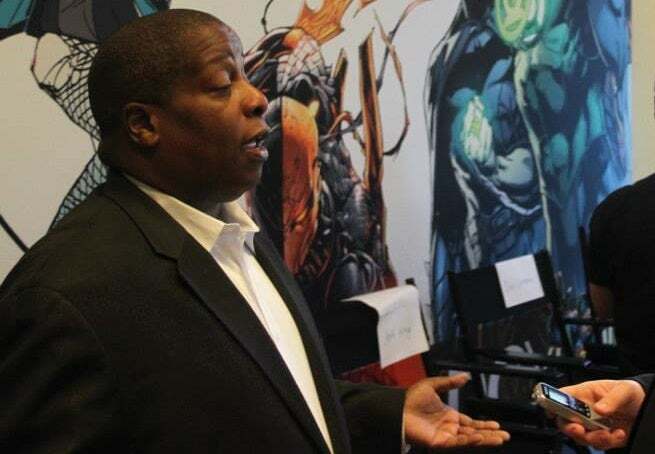 Arguably the biggest comic book announcement of Comic-Con International: San Diego this year was the return of Milestone, the DC Comics imprint featuring a number of fan-favorite black characters created by writers and artists of color in the 1990s. Back then, the books lasted less than five years, and since the creators owned the characters, they simply went away, since DC couldn't just hand the characters off to other writers. A few efforts have been made over the years to reinvigorate some of the properties, most notably Statick Shock, which had a fondly-remembered animated series and later appeared as a member of the Teen Titans. He had his own series in the New 52 reboot. All the while, though, there was talk that Milestone Media could reboot their properties as a stand-alone publisher, and that the connections to DC (the characters crossed over into the DC Universe a handful of times over the years) could evaporate as a result. Instead, with a return to DC, Milestone will alter its approach somewhat. Rather than restricting its writers and artists to just those employed by Milestone, they will work with some of DC's biggest names, including Geoff Johns and Jim Lee. Derek Dingle, one of the original Milestone co-founders, took time out at Comic-Con to talk to ComicBook.com about the relaunch. What do you think makes now the time to bring Milestone back in a big way? I think the last twenty years has caught up to the kinds of stories that we are telling. To some degrees, it was prophetic. We shared stories about what was happening in African-American communities. We shared the fact that the African-American community was not a monolith -- there were different and divergent political viewpoints. We shared the fact that individuals who were of a different sexual orientation needed a voice out there, before anyone in comics. That's what we're very proud of. Now, there's more stories to tell. The world is more diverse, and in some cases as Denys [Cowan] says, more intense, and in some cases more embracing of that diversity. So we are going to have a lot of stories to deal with the friction of 2015 America. I remember that there were characters with what would be called political stories -- and they aren't, necessarily, or at least not expressly. But you have a character whose powers came from a police attack. Do you think that a primarily white audience in the '90s perceived that as what made the books "black" instead of what made the books "real?" I think that's so. When you look at the recent protests against aggressive police actions, you see a multicultural crowd. When I'm in New York and I see the crowds coming around, it's not just African-Americans. It's people of all colors who are protesting that action. I think that we're in an era where you've had a black President for two terms, and some new readers of Milestone could have lived most of their life with a black President, with an openness to this multicultural world. But at the same time, there's still great racial tension, as we've witnessed over the last few weeks. There's major challenges in terms of the LGBT community getting their rights. You see the Supreme Court decision in favor of marriage rights, but there's still a backlash against that. So there's many issues to talk about. But what I want to make clear is that even when you're talking about issues, the key is great storytelling, and resonating with people personally. Milestone came from our personal lives and Milestone came from the personal lives of people that we knew, and we were able to share that in comic books -- and to Static Shock and the animated series -- and really resonate with people. We don't want it to be lesson of the week, but we do want to be very focused on what's happening in contemporary America. I feel like Milestone came at a time where comics in general were more character-driven than they are right now. Right now, things are very plot-oriented in most Big Two books. Will we see a continuation of that more character-focused approach? Character is always key, and in fact, that is a large part of what makes Milestone, Milestone. We're not going to lose that. I think that people get caught up in character, and they see themselves in character. I've talked about a young man who said that Milestone saved his life. He saw himself as Virgil Hawkins -- in a very tough community, he was that geek. That resonated with him personally, so he was able to grasp the larger story but the character was his way in. Icon, a Republican, was part of my contribution to Milestone. Not that I'm a Republican myself but I wanted that represented. That character resonated with Clarence Thomas, the Supreme Court Justice Clarence Thomas, who called me and I went into the Supreme Court chambers because he connected to a the character who was a Republican, when at the time, there wasn't an open political affiliation with many characters. We have to reflect the world, but at the core of it, we have to show the humanity of the characters.